Nokia Asha 311,when browsing long time. that time hang-up.there is no facilites to other handset. so, i think Nokia Asha 311 third class mobile. 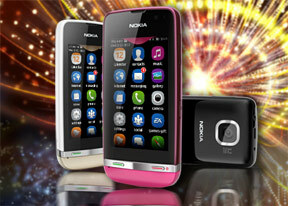 plz, fnd.don't taken Nokia Asha 311. or nokia company. This Phone is sleek, good and nice in looks. it has better internet performance BUT it has issues. i purchased mine and within a month it develop some problems. it hangs up any time. the screen touch became inactive.. Very frustrating! Don't go for it. though you keep it like an egg, still it would develop problems. this phone is 1 of the useless mob in the world. we cant compare it with any phone. very poor performance, hangs up every minute ,with its price , we can have some other better phones like samsung. please dont buy this phone...plz..plz..plz. ando, 30 Jul 2014my Nokia Asha 311, is turning off after startup tone, when there's a sim card inserted on it, ... morei have same problem. please dial *#7780# this format your set,problem will be solved. Its just awesome phone.. Used it for an year without any problems.. Have dropped it many times.. And yet not even a scratch on screen.. Net speed is simply awesome.. Can view documents mails etc.. Sad they cant be edited.. What's app fb all run very smoothly ... Best phone from a good brand.. Battery is also very good..
Zah, 28 Jun 2014My wats app expired and I can't go to d nokia sore to dwnload it. Wen I try to open the store ... moreJst upgrade and it wil work,i did it. not so good... i bought it before 2 years it worked well only for 3 months... its lock button doesnt work properly.. dis phone automatically get switch off or restart...touch is very good..camera is also ok.... net works very much fast...i use it becoz of its speed. . i wud reccommend u not to buy dis phone. ando, 30 Jul 2014my Nokia Asha 311, is turning off after startup tone, when there's a sim card inserted on it, ... moreCheck the sim card for any problem with another phone. if the sim card is faulty this phone restarts automatically and cant work . If the sim is ok with other phone and it shows no issues then the problem lies within the phone. Try to restore the phone and then put the sim. I think it may b the problem of the sim with my xprnc with this phone.